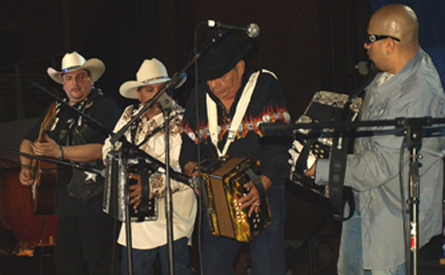 Raul Malo, Pee Wee, Tierra, Girl In A Coma, Texas Tornados, and Arthur Hanlon has been announced as among the performers for the 2010 Tejano Music National Convention scheduled July 9-11 in San Antonio. The convention will be part of a historic weekend that will see the convention combined with the Tejano Music Awards and the 6th Annual Tejano Academy Awards. 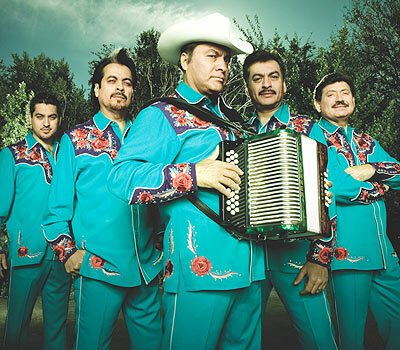 The three-day convention highlights include: the Gran Baile, Artist Showcase & All-Star Tejano Jam, and the Tejano Experience USA Fanfare & Expo. Hosting the TMAs which, wil taken place at the Municipal Auditorium in San Antonio, will be actor comedian Paul Rodriguez. Carmen H. Marroquin, along with her sister Laura, was one of the early pioneers in Tejano music. The sisters were the first Tex-Mex duets to tour the United State sin the 1940s. Marroquin died Friday, June 11 at the age of 88. Marroquin, like fellow legend Lydia Mendoza, harks back a time when the only stages for women in music were the vaudeville shows. As far as singers and duets there were precious few and even less documentation of such performers. Heading right into the teeth of the summer season as outdoor festival season picks up. Upcoming highlights include theTejano National Convention and Tejano Music Awards as well as the South Texas Conjunto Association awards. Aniceto Molina Solid cumbia outfit on tour. Lonestar Saloon, Uvalde. June 19. Also June 20 (Father’s day) Little Joe y La Familia plus Grupo Vida; Friday Aug. 6, Aaron Watson with special guest Emory Quinn. Arizona's controversial and stringent immigration law has generated strong complaints, boycotts and now a songwriting contest. The songwriting contest is being presented by Dr. Paul Ruiz in reaction to the recent enactment of Arizona Senate State Bill 1070 which Gov. Jan Brewer signed into law. The songwriting contest features $10,000 in prizes. Details on the contest will be released Tuesday in San Antonio in a news conference hosted by Maria Antonietta Berriozabal, 1992 candidate for Major of the City of San Antonio. The main guideline for this contest is that the tune must address the controversial new immigration law in Arizona decrying it’s injustice in any music genre.